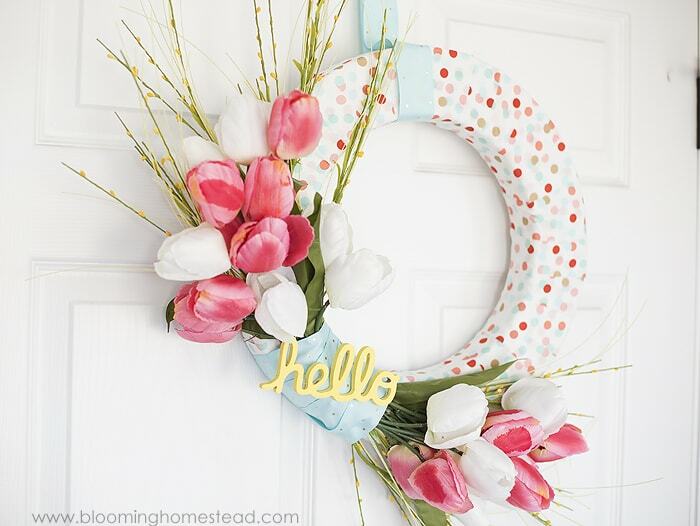 It’s Marie from Blooming Homestead here to share this super adorable DIY Spring Wreath. 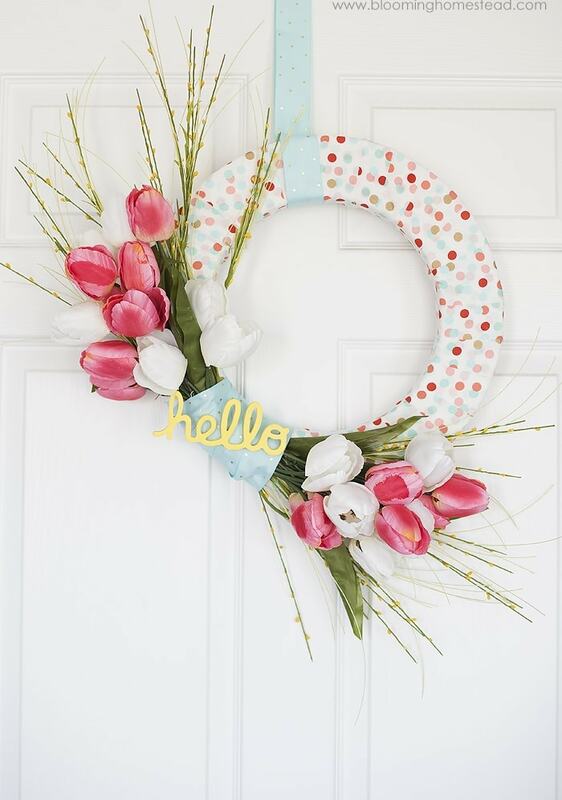 What better way to welcome in Spring then with this bright and fun DIY Spring Wreath? 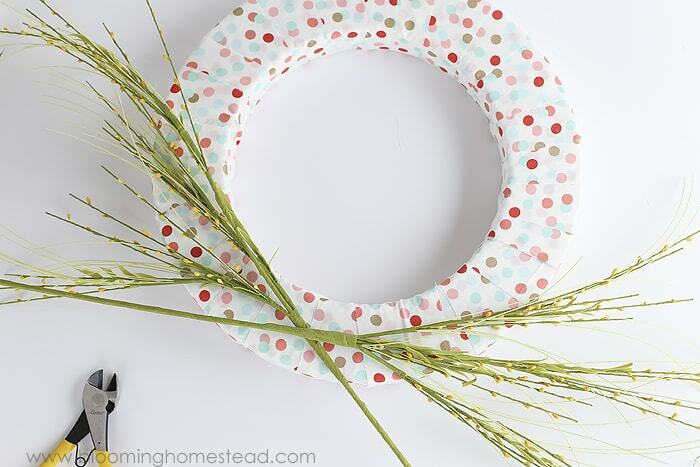 To start, you’ll want to paint your chipboard hello so it can be drying while you assemble the rest of your wreath. 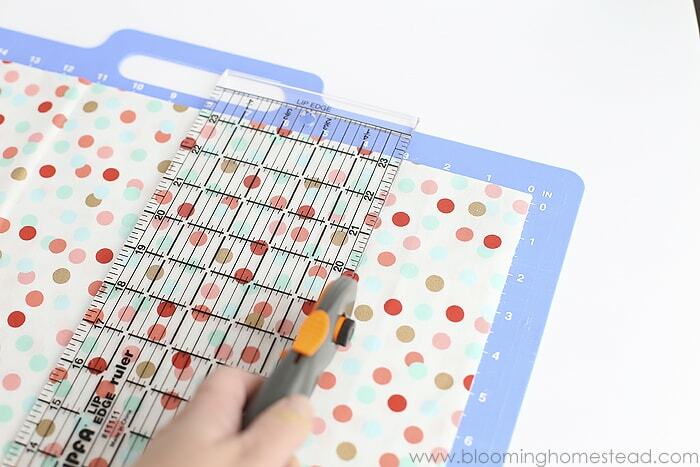 I found this in the chipboard section of the craft store by scrapbooking supplies. 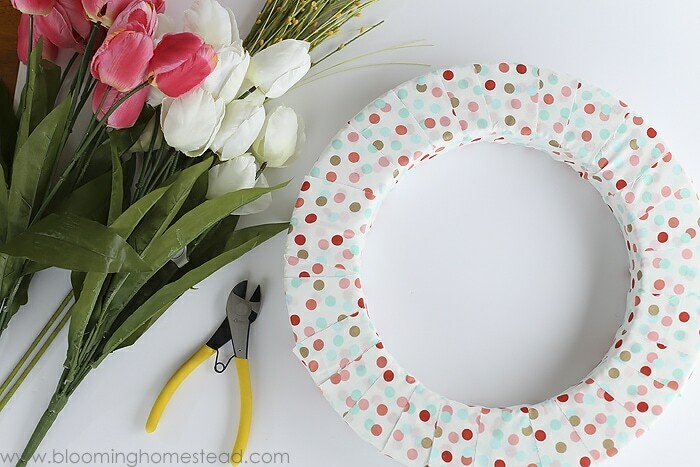 Using your cutting mat and rotary cutter, you’ll cut your fabric into 3″ wide strips to wrap around the wreath form. Starting on the back side of the foam, you’ll secure the fabric strip in place with a floral pin and start wrapping the fabric around. When you come to the end of the strip, make sure it ends on the back of the foam and secure with a floral pin. 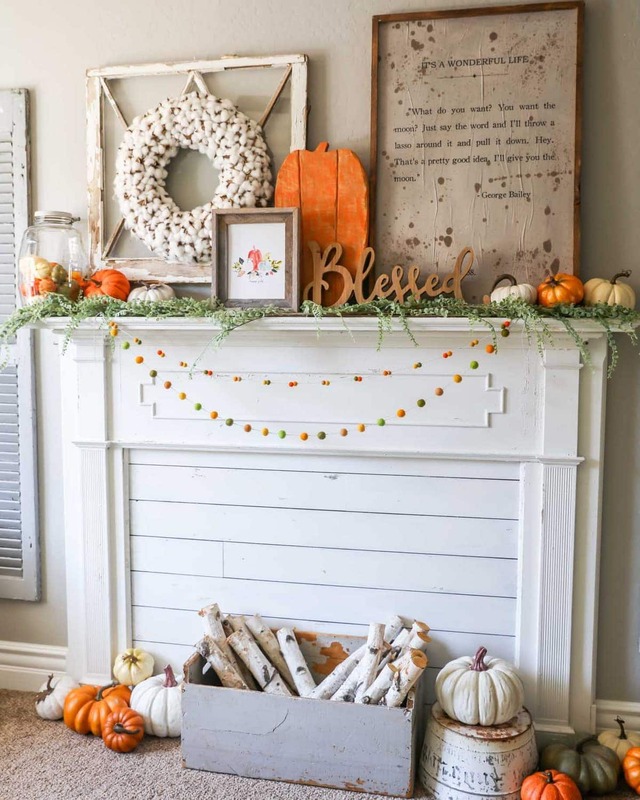 Repeat this step until entire wreath form is covered. 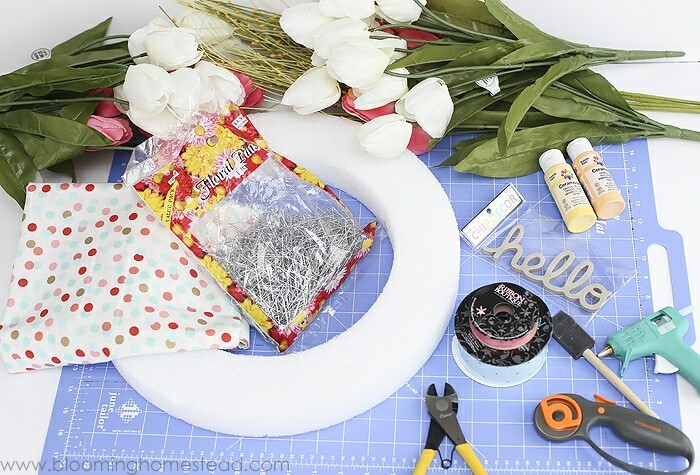 Now that your foam is completely covered you’ll add on your flowers. Start with the “filler” sprigs to use as a base. 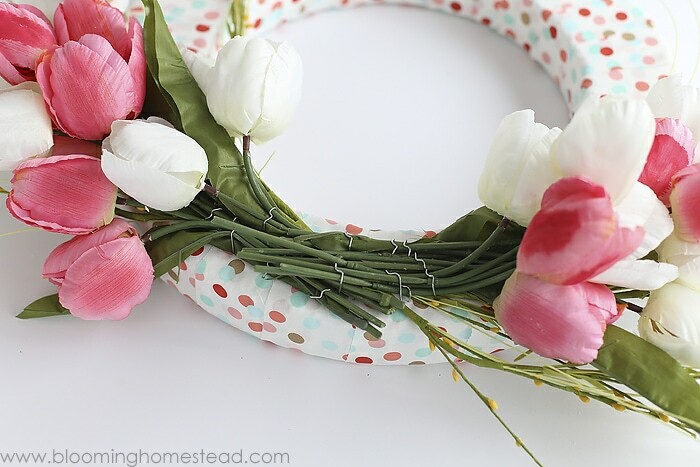 Criss cross them on the left corner of the wreath and secure with floral pins. You’ll repeat this step with the tulips. Because I used a bunch of tulips, I cut them off individually to place them in a more scattered fashion and secured with pins. 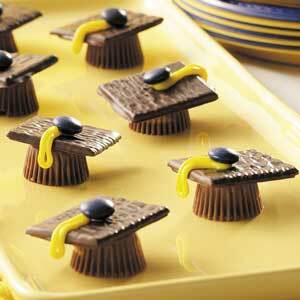 You’ll want to use several pins in different places to keep all the stems in place. 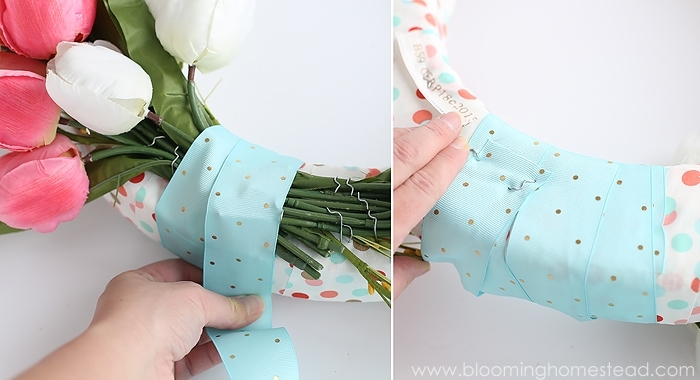 When you have all the flowers attached, you’ll take your grosgrain ribbon and wrap around the center to cover your floral pins and stems. Secure this on the backside with pins. 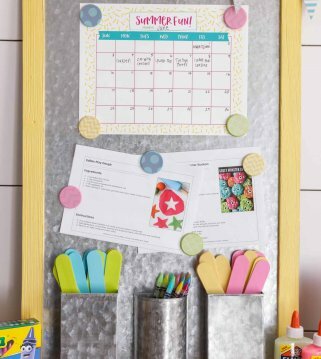 Now you’ll glue on your chipboard hello and you’re all done! 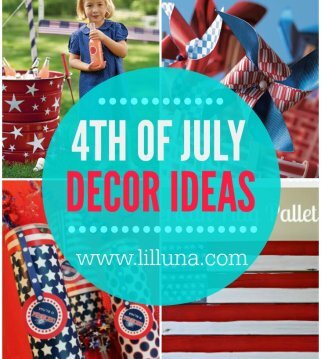 Such a pretty and fun way to welcome in the new season! 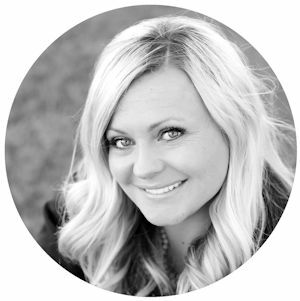 Be sure to stop by Blooming Homestead, you can also find me on Facebook, twitter, pinterest, and instagram. 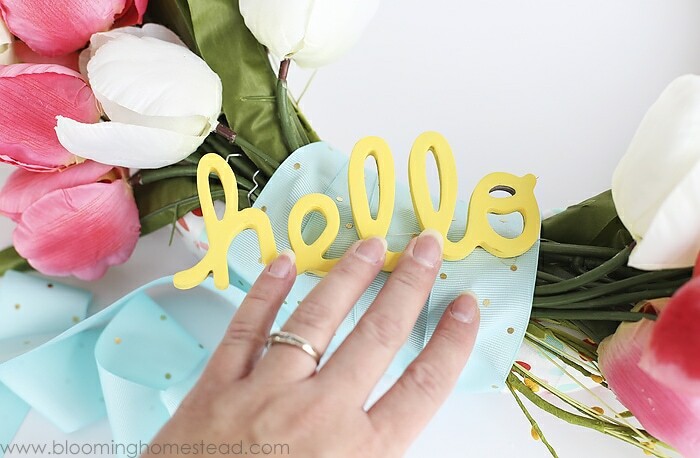 Here are a few other fun things I’ve shared over at Blooming Homestead. 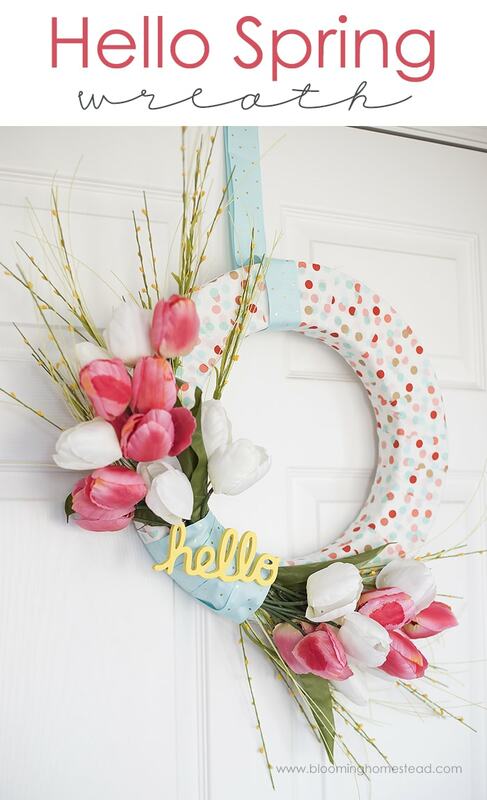 This wreath is absolutely darling! 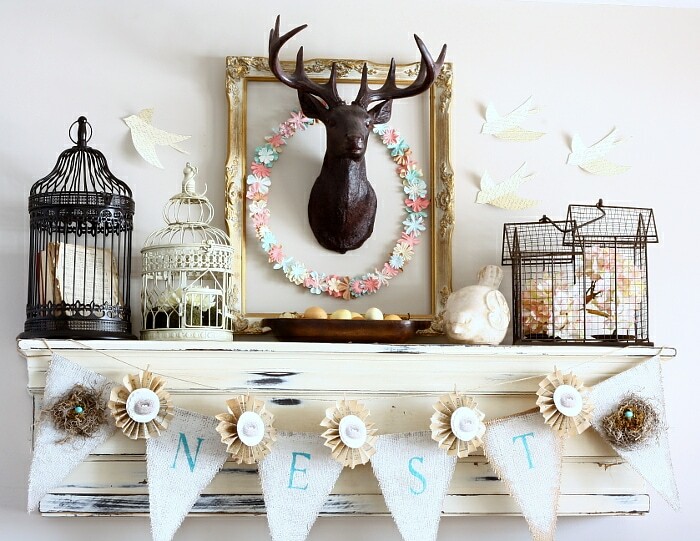 Such cute spring decor. 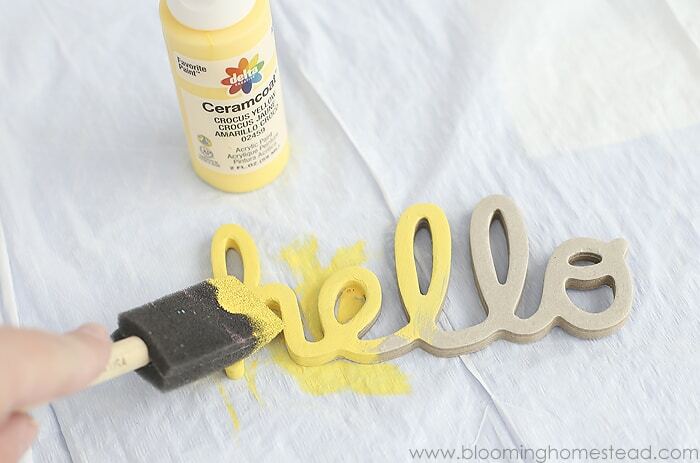 Thanks so much for sharing this tutorial with us Marie!! 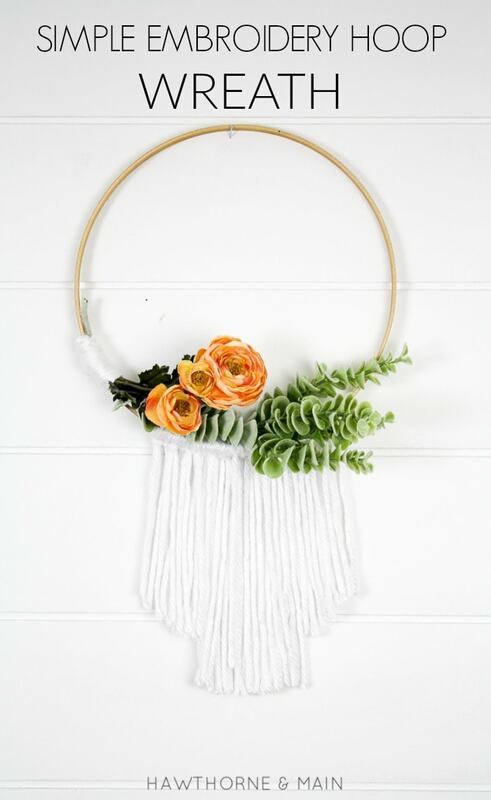 To see more of her awesome creations, head on over to Blooming Homestead! 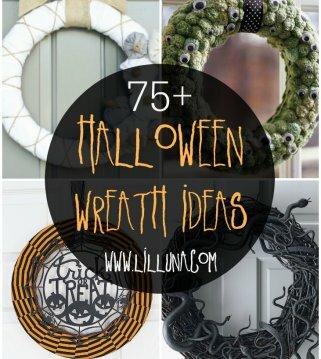 For all DIY wreaths, go HERE. 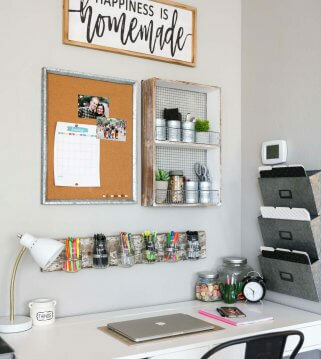 For all DIY and tutorials, go HERE. 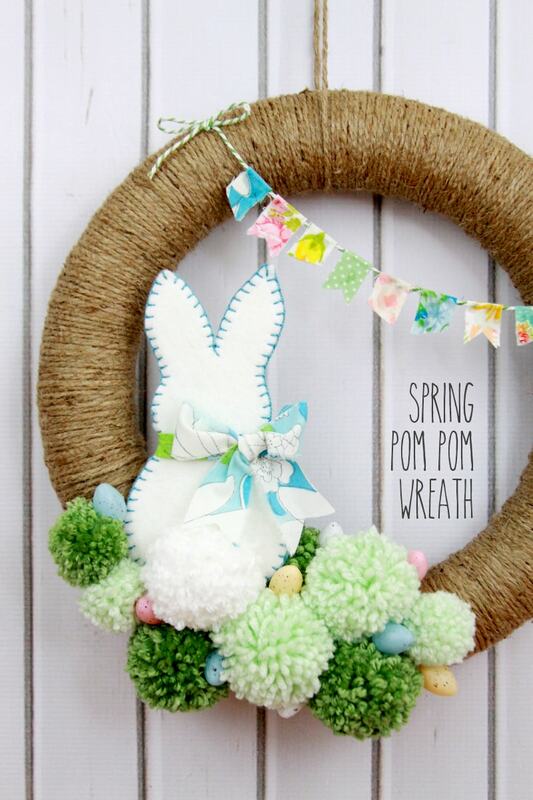 Love the wreath!! So pretty! !